Are you sure you want to remove Fuzzy Quality Control from your list? Fuzzy Quality Control introduces an innovated approach to the well known issue of quality control, to replace the traditional method of statistical quality control. It is hoped that this will pave the way for further development of the new technique and a wider range of its applications, in order to meet the emerging requirements of modern products and services, demanding new techniques of quality data measurement and analysis. 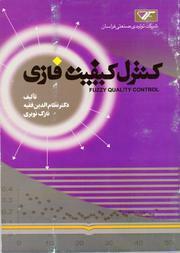 The book explains fuzzy mathematics in a simplified version; discusses the statistical quality control procedures and charts; introduces the fuzzy approach to quality control and how the traditional control charts can be replaced with the new fuzzy charts; reports a case study and demonstrates how the new method can be applied; compares the results obtained from both the traditional method and the new fuzzy approach in order to convince the readers to follow practical extensions.